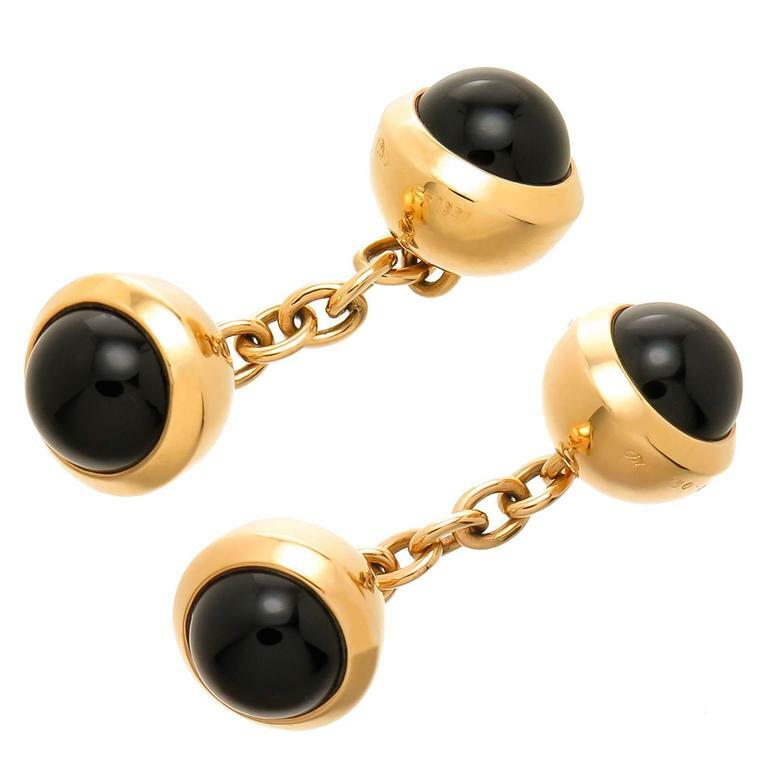 Circa 1990 Cartier 18K Yellow Gold and Onyx double sided Cuff-links, measuring 3/8 inch in diameter and set on each end with a round domed Cabochon Onyx. Signed, numbered and in the original Cartier presentation box. 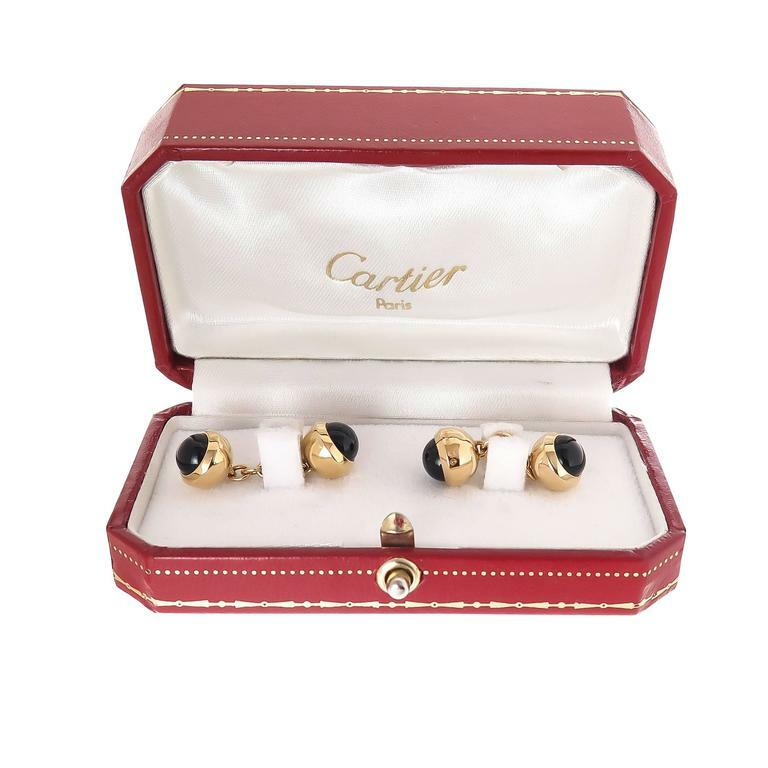 Pair of 18k yellow gold dumbbell cufflinks, crafted by Cartier. Cufflink top is 13mm in diameter, back - 9.5mm. Weight - 11.1 grams. Marked: Cartier, 18k. 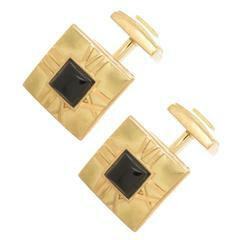 Pair of vintage 18k tri color gold Trinity cufflinks, crafted by Cartier. 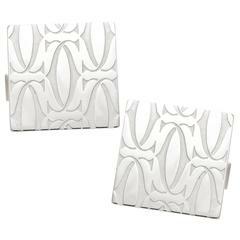 Cufflink top is 26mm at widest point, weight - 21.5 grams. Marked: Cartier, 18K.